Property 5: Family Friendly Vacation @ Purple Parrot Resort; Poolside Tiki Bar & Live Music! Property 7: POOLSIDE At The Purple Parrot In Perdido Key/Open 6/1-6/8. Check Out Our Rates! Property 8: 2 Bdr. 2ba. Sleeps 6 Condo With Beach Access, Resurfaced Pool and Hot tub, BBQ. Property 10: Summer is just around the corner! Newly renovated right on the beach! Property 15: Lovely condo w/ shared pool & beautiful ocean views - walk to the beach! Property 16: PERDIDO KEY, WATERFRONT, PET FRIENDLY, BOAT SLIP! Property 22: Beachfront, Sandy Key, Relax and Enjoy, This Unit Has it All. Property 23: Oceanview condo with shared pool only a few moments away from the beach! 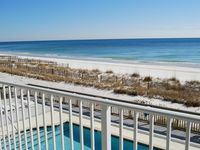 Property 24: Paradise in Perdido Key! Property 34: Gulf Access, 2 BR Corner Unit - 5 Stars!!! Great for Spring Break and Summer..! Property 38: Great Springs Rates for nights left in April/May! Book Now! Grand Caribbean East & West W405 - Don’t miss your spring vacation. Book now! Property 39: Grand Caribbean East & West W405 - Don’t miss your spring vacation. Book now! Property 40: Just 25 steps to pool. August dates still available! Lovely Perdido Key Condo ~ Beach Access~ Down the Road from Exciting Attractions! 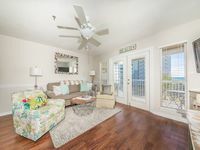 Property 42: Lovely Perdido Key Condo ~ Beach Access~ Down the Road from Exciting Attractions! Property 44: Indigo West 301- Beach Front View with Luxurious Interior and Amenities! GETAWAY SPECIAL! Spacious Living, Free WiFi, Lots of Extras! Property 47: GETAWAY SPECIAL! Spacious Living, Free WiFi, Lots of Extras! Property 48: Molokai Villas Riverside 5B- Private Villa on Canal w/ Exclusive Gulf Access! Property 49: Come to the Beach! ~ Private Balcony and Community Pool ~Spacious Accommodations! The condo was clean, bright, and airy. The pool was a great size for our kids. The beach was so close along with lots of good restaurants and things to do. We hope to be back!